In 4-quart Dutch oven, heat all ingredients except zucchini to boiling, breaking up tomatoes and stirring occasionally. Reduce heat; cover and simmer 13 minutes. Stir in zucchini. Cover; simmer 5 to 7 minutes or until zucchini is tender. Serve with an assortment of condiments, such as sour cream, shredded Cheddar cheese and sliced ripe olives. 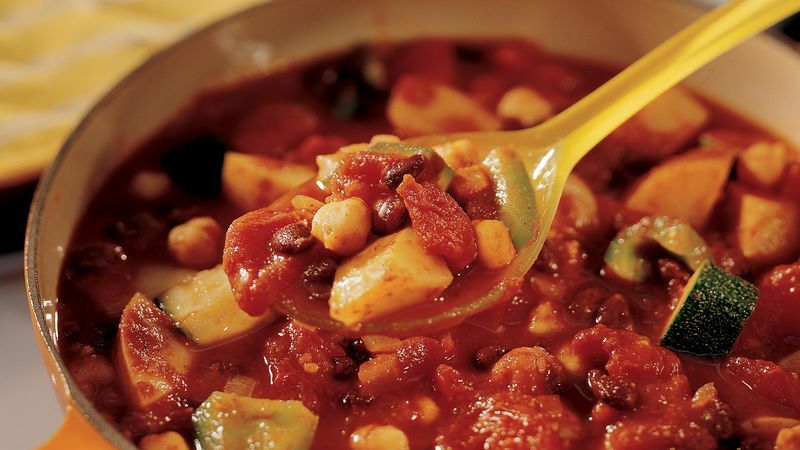 You can use a variety of beans in this family-favorite chili. Pinto, navy and kidney beans all are delicious additions.